IEDC (INNOVATION AND ENTREPRENEURSHIP DEVELOPMENT CENTRE) Innovation and Entrepreneurship Development Centre (IEDC) cell ‘Younus Centre for Innovations & Entrepreneurship’ started functioning in our campus from 27th January 2014. IEDC is being promoted in educational institutional mechanism to create entrepreneurial culture in Science and Technology academic institutions and to foster techno-enterpreneurship for generation of wealth and employment by Science & Technology persons. IEDC established in academic institution having requisite expertise and infrastructure YCIE is affiliated by Technopark TBI. Several entrepreneurship awareness camp, faculty development programmes and innovation related programmes have been conducted by the cell. Currently IEDC cell posses more than five startup companies in Technopark, Thiruvananthapuram. The Innovation and Entrepreneurship Development Center (IEDC) is being promoted in educational institutional mechanism to create entrepreneurial culture in S&T academic institutions and to foster techno-entrepreneurship for generation of wealth and employment by S&T persons. The IEDCs are established in academic institutions (science colleges, engineering colleges, universities, management institutions) having requisite expertise and infrastructure. 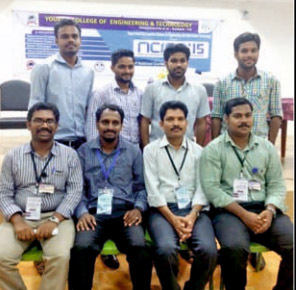 Younus Center for Innovations and Entrepreneurship is working by following these mission and vision at Younus College of Engineering and Technology, Kollam. Younus College of Engineering and Technology,Kollam. @younus group School Zone by Rara Theme. Powered by WordPress.